Acupuncture is a form of Chinese healthcare that uses needles to balance the body’s energy. It has been used for over 3000 years to treat everything from a sore throat to back pain, and is even used in place of anesthesia for surgery! The following will give you an understanding of the theory behind acupuncture. The body possesses energy called chi. The chi flows through twelve main channels in the body called meridians. Each meridian is named, such as the stomach or bladder meridian. Each meridian is said to control specific body functions. Each meridian has a specific path through which it carries chi throughout the body. The yin meridians flow on the inner portions of the arms, legs, and the front of the torso. The yang meridians flow on the outer portions of the arms, legs, and the back. The chi should be able to flow freely through all twelve meridians. When the chi becomes blocked, or stagnated, there can be too much chi in certain meridians while other meridians become too low in chi. This disruption in the flow of chi will cause problems with the functions the meridian controls, or where the meridian runs on the body. 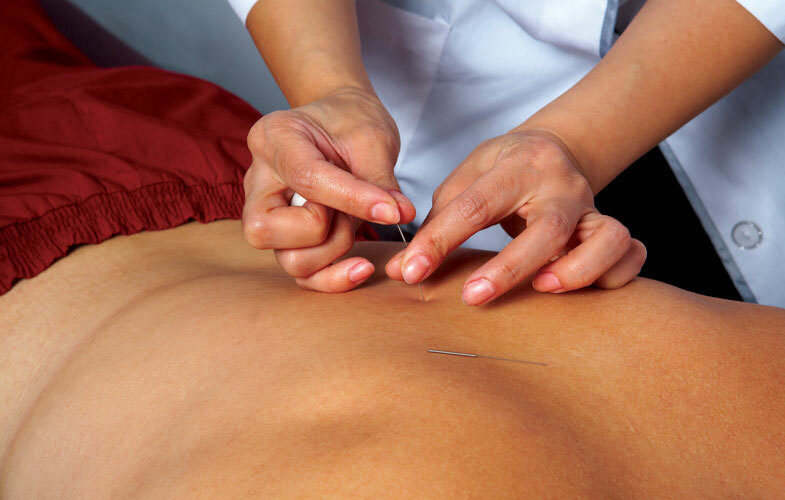 Acupuncture needles are used to remove blockages in chi flow, and make sure each meridian has the same amount of chi. Inserting the acupuncture needle is like opening a door. An acupuncture needle can let chi out of a meridian, let chi in to a meridian, and pass chi to another meridian. The goal of acupuncture is to restore optimal body function by achieving balance in the body’s energy. There are hundreds of acupuncture points all over the body. However, most treatments involve using 6-10 points only. There are many ways to determine which points to use. Dr. Emily Brueggeman uses an energy graphing technique to determine which acupuncture points to use. To graph a patient’s energy, Dr. Brueggeman uses a small machine with a cotton tipped probe to test the electrical conductivity at the most active point on each meridian. She enters the reading into a computer program, which then creates a graph so you can see which meridians are high or low in chi. Dr. Brueggeman combines the acupuncture graph with the patient’s symptoms, and then determines which acupuncture points will be the most effective. The needles used in acupuncture are very small and thin, almost the size of a hair. Usually patients do not even feel the needles being inserted. The needles are put in place, left for approximately 20 minutes, and then removed. Acupuncture is a full body system of treatment, and, therefore, can be used for many problems. It can be used for general problems such as poor sleep, headaches, and allergies. It can also be used for specific problems such as low back pain, sciatica, neck pain, shoulder pain, knee pain, or tennis elbow. Most patients report sleeping very well the night of their first acupuncture treatment. To speak with a chiropractor in the Edwardsville, IL area about specific chiropractic adjustment or treatment questions, or to make an appointment, please call us at 618-692-0000 or contact us .